April sees the remastered reissue of Caught in the Light - unavailable for many years, with bonus material from the Town and Country club, plus a remastered reissue of Welcome to the Show—again with bonus material from the Town and Country Club. 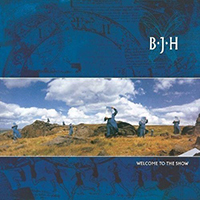 Starting in early June we will be issuing 4 classic BJH albums remastered with new stereo mixes (as well as the original) and a 5.1 surround disc. Everyone Is Everybody Else – Gone to Earth, Octoberon and X11. 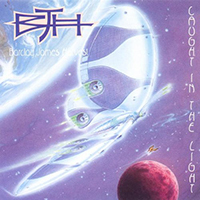 'Caught In The Light' (2CD Remastered & Expanded Edition). Expanded Deluxe edition which features a bonus CD of unreleased live material recorded at the band’s 25th Anniversary concert at the Town & Country Club, London on 16th February 1992. 'Welcome To The Show' (2CD Remastered & Expanded Edition). Expanded Deluxe edition which includes the bonus track "Stand Up” (issued as a single in 1992 and also from the various artists album "Darwin – The Evolution”), and significantly a bonus CD of unreleased live material recorded at the band’s 25th Anniversary concert at the Town & Country Club, London on 16th February 1992. 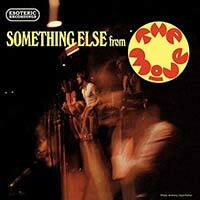 'Everyone Is Everybody Else' (3 Disc Remastered & Expanded Edition). This edition includes two CDs and a DVD, and features a new re-master of the original album mix, along with stunning brand new stereo and 5.1 surround mixes of the album (with the exception of ‘For No One’ – omitted due to the multi-track master tapes having long since vanished). Also includes a lavishly illustrated booklet that fully restores the original album artwork, a new essay and also includes a reproduction poster. 'Gone To Earth' (3 Disc Remastered & Expanded Edition) Deluxe edition which includes two CDs and a DVD, and features a new re-master of the original album mix, along with stunning brand new stereo and 5.1 surround mix of the album. Also includes a lavishly illustrated booklet that fully restores the original album artwork, a new essay and also includes a reproduction poster. To find out more of about these titles, visit our New Release page. Four classic remastered & expanded reissues from The Move on the way this month! We are proud to be kicking off our reissue program of classic titles by 60s rock band THE MOVE this April and May. 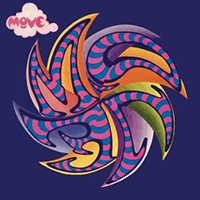 'Move': The classic 1968 debut album by THE MOVE comes in 2 formats: a 3 Disc Remastered & Expanded Deluxe Edition and a Standard Edition. 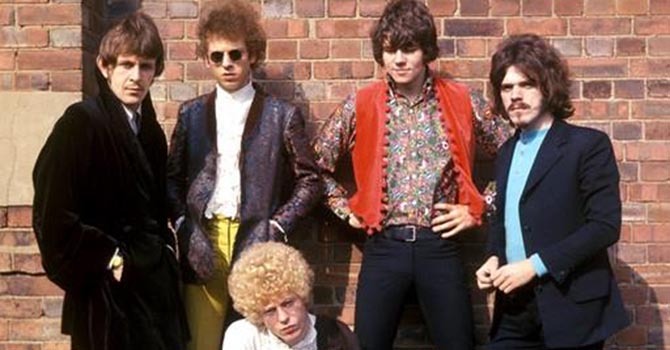 The 3 CD Deluxe edition focuses on the Mono mix of the album, but has also been expanded to include 52 bonus tracks encompassing stereo mixes of the album tracks, previously unreleased tracks from the band’s very first recording session in January 1966, unreleased tracks from an early appearance on regional radio and 19 tracks drawn from BBC radio sessions recorded between January 1967 and January 1968. It also includes a lavishly illustrated booklet that fully restores the original album artwork and features a new essay by Mark Paytress and also includes a poster. 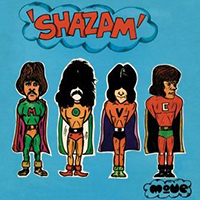 'Shazam': The classic 1970 album by THE MOVE is available as a 2CD Remastered & Expanded Deluxe Edition and a Standard Edition. The 2CD Deluxe edition has been expanded to include 37 bonus tracks encompassing the singles ‘Wild Tiger Woman’, ‘Blackberry Way’ and ‘Curly’ and alternate mixes. 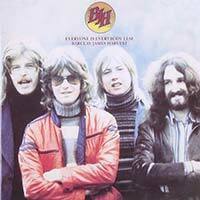 Significantly, 23 tracks recorded for the BBC between May 1968 and November 1969 are also included; 12 of which appear on CD for the first time. It also includes a lavishly illustrated booklet that fully restores the original album artwork and features a new essay by Mark Paytress and also includes a poster. 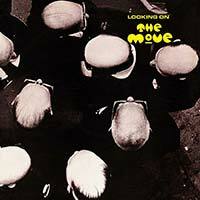 'Looking On': a newly re-mastered and expanded 2CD edition of the classic 1970 album by THE MOVE, Looking On. expanded to include 14 bonus tracks encompassing the single B-side ‘Lightnin’ Never Strikes Twice’, alternate mixes, and seven tracks and two interviews recorded for the BBC in 1970, all of which appear on CD for the first time. Also includes a lavishly illustrated booklet that fully restores the original album artwork and features a new essay by Mark Paytress and also includes a poster. 'Something Else From The Move': This newly expanded and re-mastered edition of the classic 1968 live recordings made by THE MOVE at the legendary Marquee Club in London is now available as a Remastered & Expanded Edition. In 2007 the original multi-track master tapes were re-mixed and pieced together to present as full a record of The Move’s Marquee performances as possible. Now these stereo tracks are gathered, along with the five mono mixes that formed the original 1968 EP on a CD version of “Something Else from the Move”. 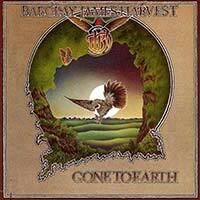 The release is newly presented in a single digi-pack with illustrated booklet and liner notes.